It towers above the neon signs and drab concrete blocks of modern-day Japan, a gleaming monument to an age when shoguns and samurai didn’t just exist in the imagination. 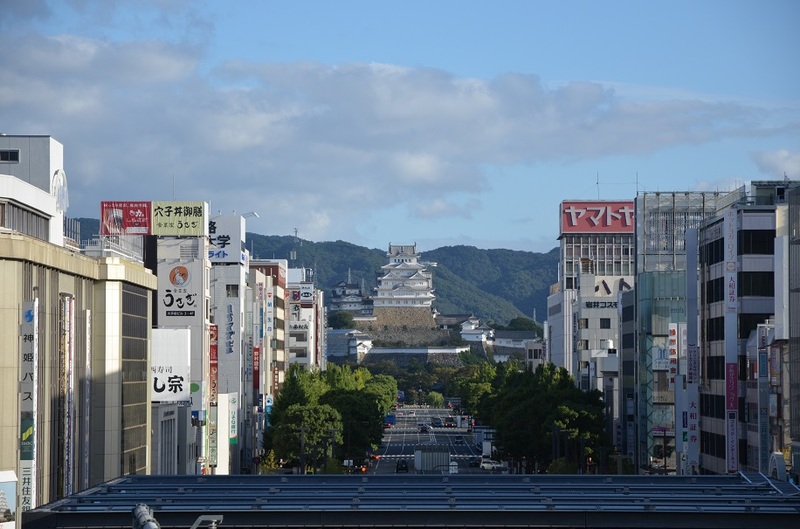 From its hilltop perch, Himeji Castle dominates its namesake city, marking one end of the tree-lined boulevard leading to the busy train station. 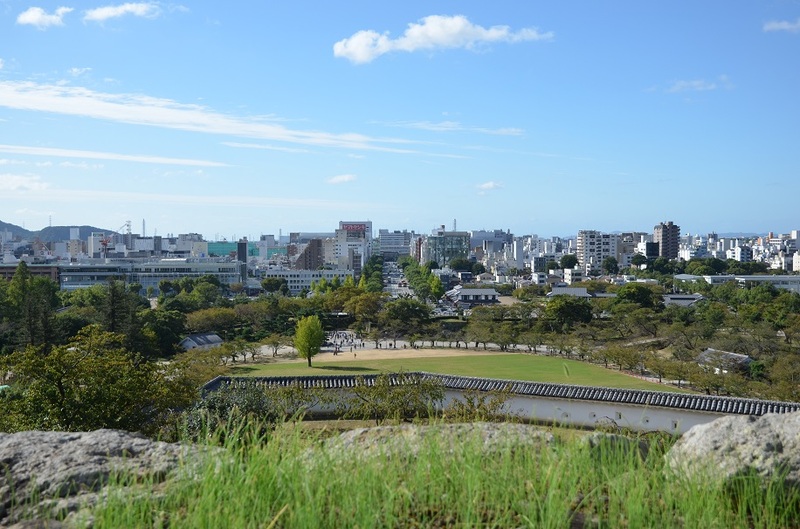 A fortress has stood on this site since the 14th century, presiding over a narrow strip of flat land bordering the Inland Sea – and a strategic point along the western approach to Kyoto, Japan’s imperial capital for more than a thousand years. 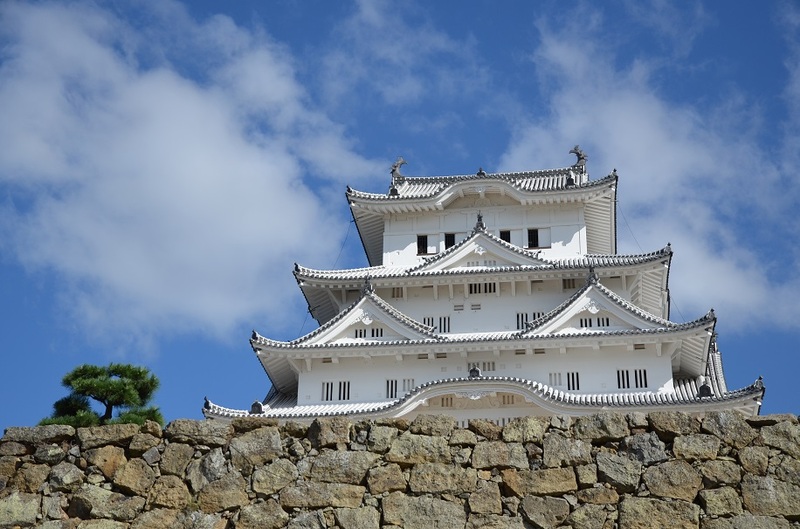 Himeji-jo is nicknamed the “Castle of the White Egret” or “White Heron Castle” for its imposing beauty, though the compound’s age is just as impressive; much of its current form dates back to 1609. 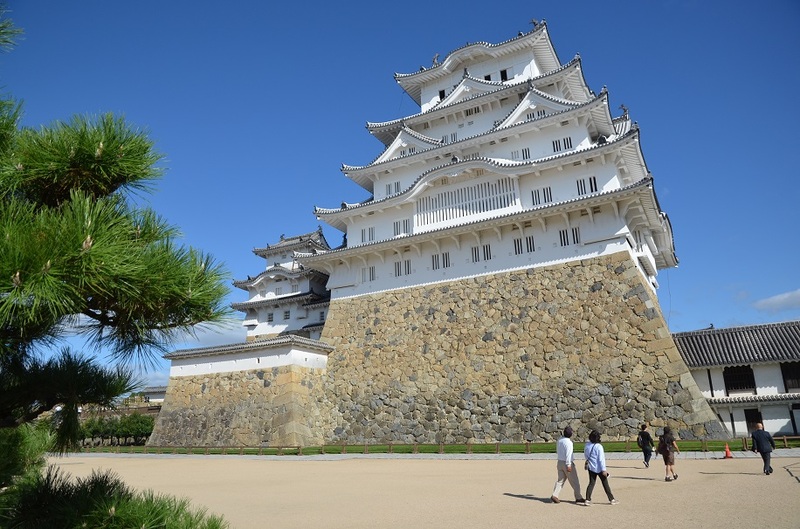 Himeji-jo is one of only 12 original Japanese castles (those of Osaka, Nagoya, and Kumamoto are largely reinforced concrete replicas) and the largest of them all. For 17th-century armies, launching an assault on the heavily fortified castle would have been no easy feat. First, they’d have to navigate the labyrinthine approach of multiple gates and narrow, winding pathways – full of turns and switchbacks – while being fully exposed to the wrath of its well-hidden defenders. Scaling the enormous walls of interlocking stone blocks, steeply built with a perceptible curve, would have been out of the question. 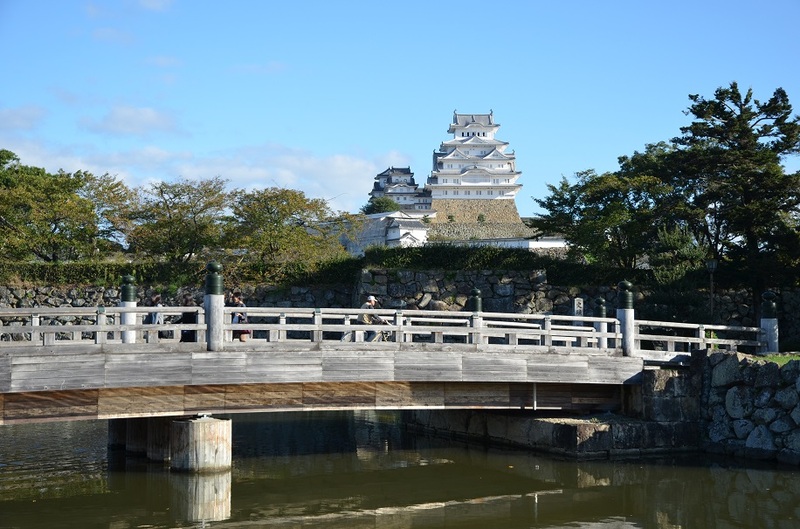 What could be more Japanese than a magnificent castle and a lovely wooden bridge? Stones could be dropped onto intruders from the angled chutes at the corners of each turret; defensive loopholes were specially designed so warriors could shoot arrows and use their firearms without being seen. 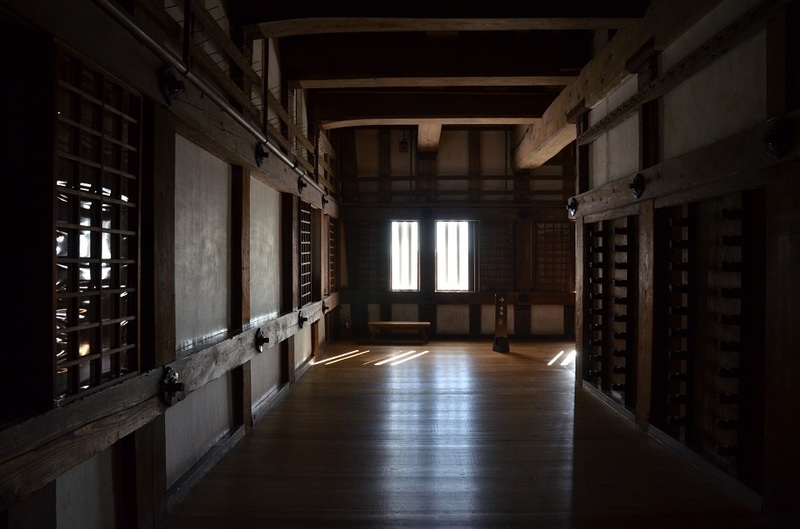 Inside the austere chambers of Himeji-jo’s main keep, empty weapon racks would have held matchlock guns (introduced to Japan by the Portuguese in the 16th century), while hiding places were built into the walls, allowing defenders to emerge, ninja-like, from the shadows. 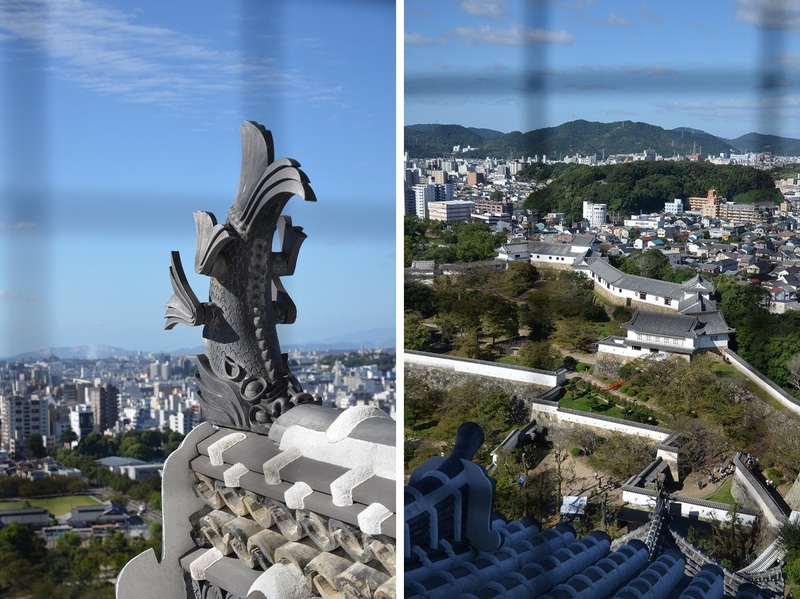 Any approaching army would be quickly spotted from the uppermost level of the keep, where the panoramic view unfolds beyond the decorative roof finials modeled after shachi – folkloric sea creatures with the head of a tiger and the body of a carp – believed to protect wooden buildings against fire. And because the castle was never attacked with cannon or set aflame by a lightning strike, it stands as proudly as it did in the early 17th century. 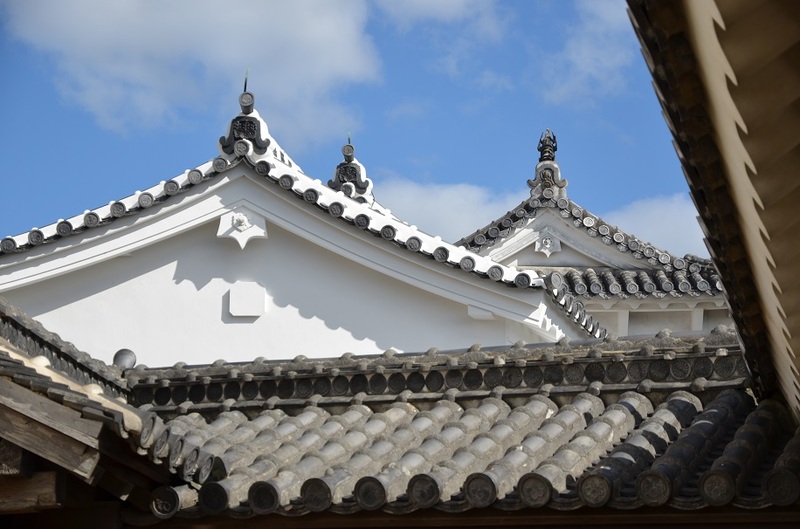 Today’s Himeji-jo is so well-preserved that it was listed as one of Japan’s first UNESCO World Heritage Sites in 1993. But it wasn’t always appreciated by those in power. 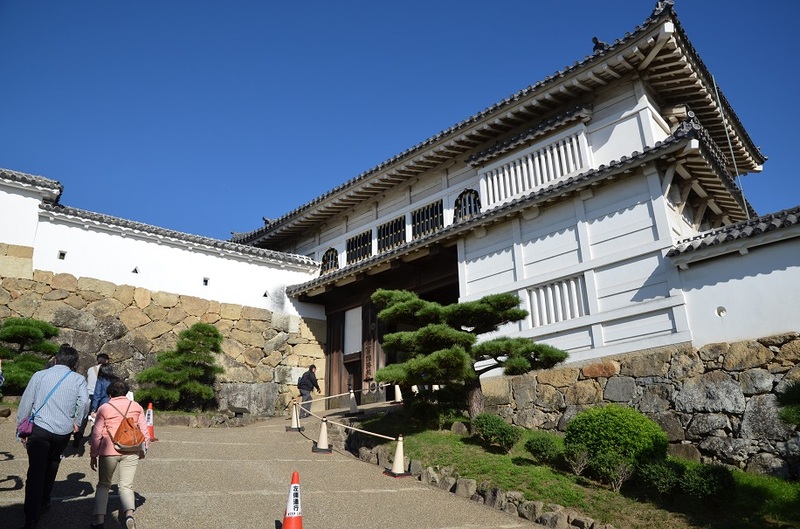 Amid the rush to modernize in the Meiji Period, which saw the feudal system formally abolished in 1871, Japanese government policies called for the wholesale destruction of traditional castles up and down the country. 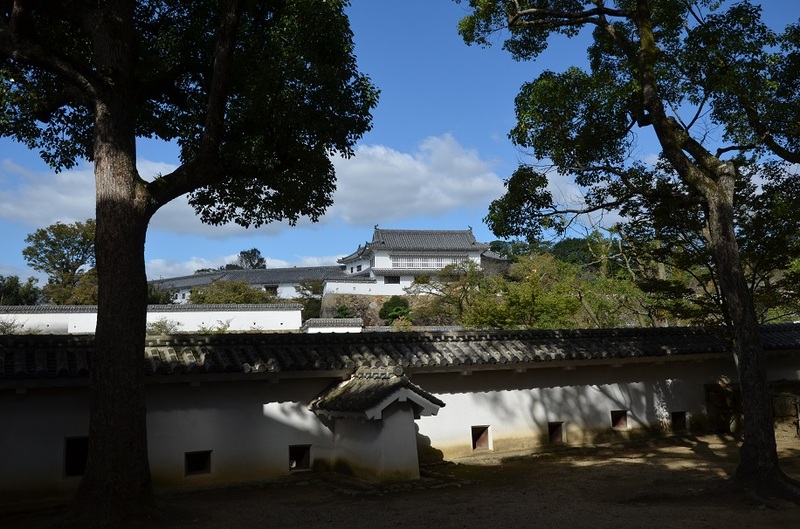 Himeji-jo was abandoned and some of its minor structures gave way to army barracks, though a colonel by the name of Nakamura Shigeto successfully put an end to the government’s plans to demolish it all. The castle was eventually snapped up at an auction for the not-so-princely sum of around US$2,300 (in today’s terms), by a local resident who planned to tear down its 80-odd buildings and redevelop the land. But he soon realized it would be too costly an endeavor. 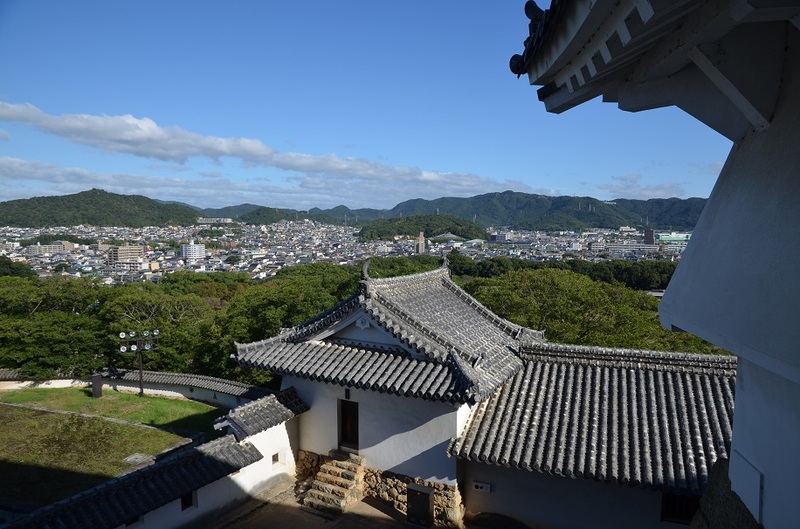 Then came World War II, when Himeji became the target of a firebombing campaign in the final months of the conflict. Two-thirds of the city was razed to the ground in a single afternoon, but by a stroke of good fortune, the sole incendiary bomb that fell on the castle’s top floor did not explode. 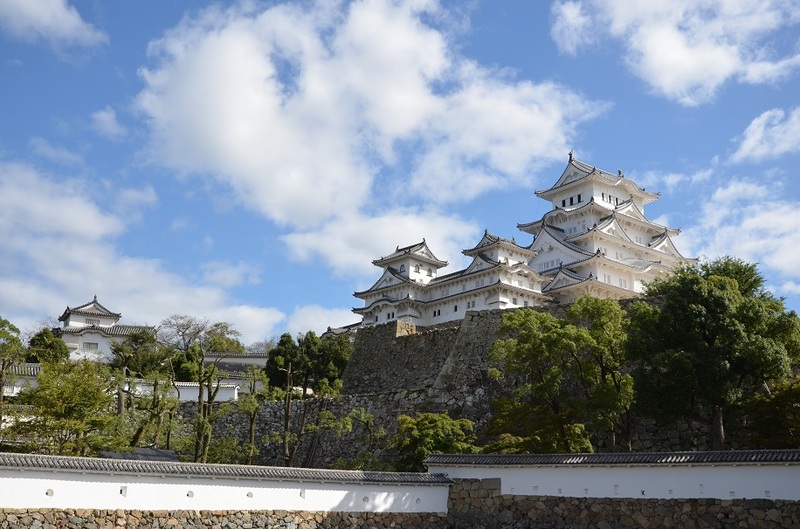 Oh, the magnificent Himeji Castle! It was so beautiful and impressive I could have actually spent more time taking photos of the castle, the keep, and the surrounding vista, as well as admiring the architectural details. 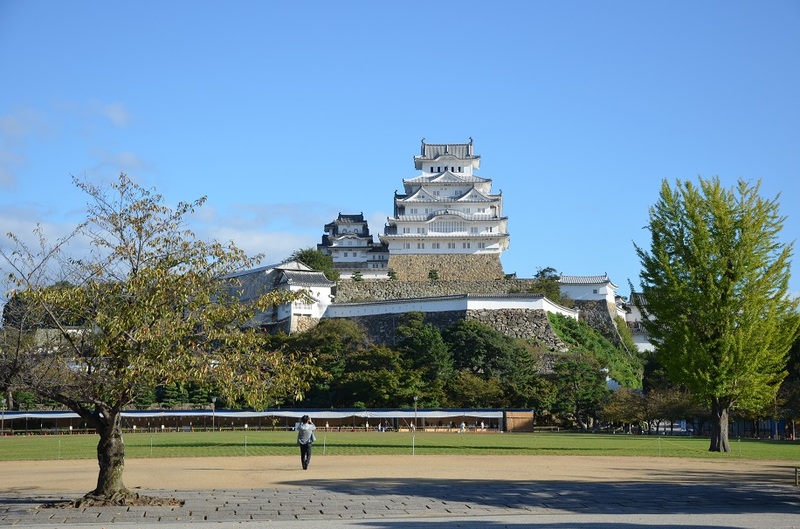 It’s amazing to think of how many times Himeji-jo was so close to being heavily damaged, but 400 years after its completion it’s still standing proudly, against all odds. Your beautiful, crisp photos are truly refreshing, James! Thank you, Bama – the blue skies and perfect weather certainly helped! 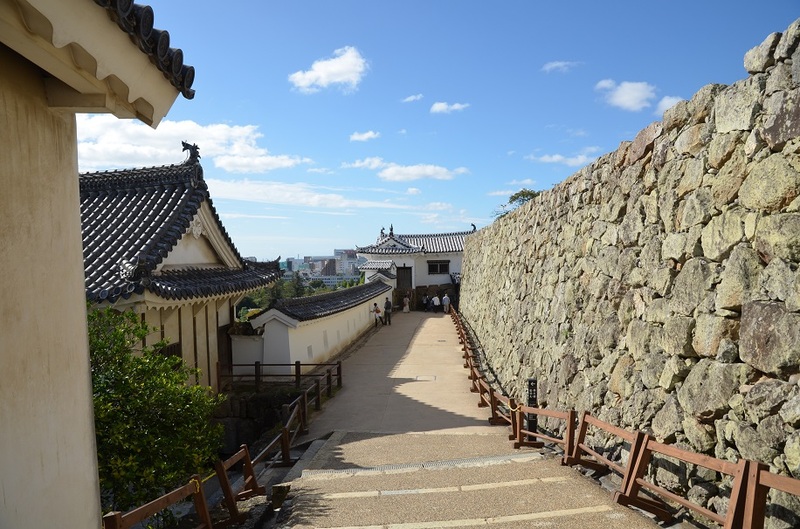 In hindsight there was one area we didn’t get to visit: the western bailey of Nishinomaru. I don’t remember if it was open or not, though that was off to the side and a slight detour from the circuit we were asked to take. I agree, the rooms inside the castle keep were minimalistic and cozy. 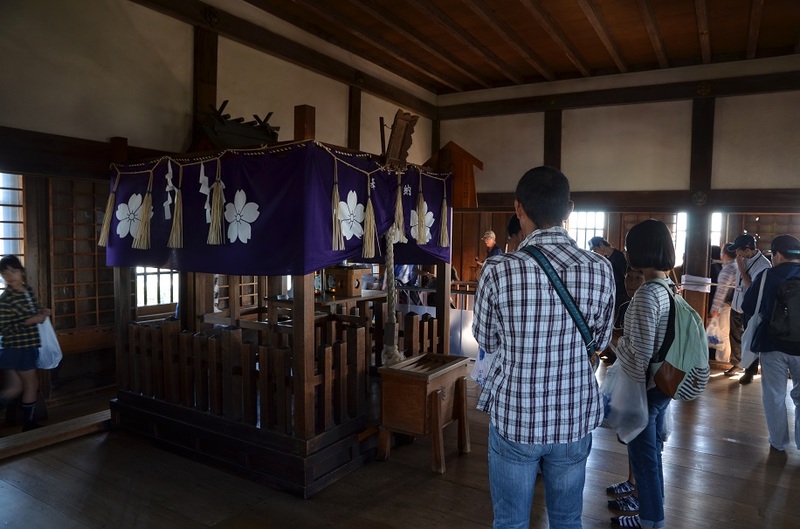 It’s amazing to think that all those wooden beams and walls date back centuries – I can see why visitors are required off their shoes and carry them around in plastic bags to keep the floorboards pristine. You got some wonderful photos there. 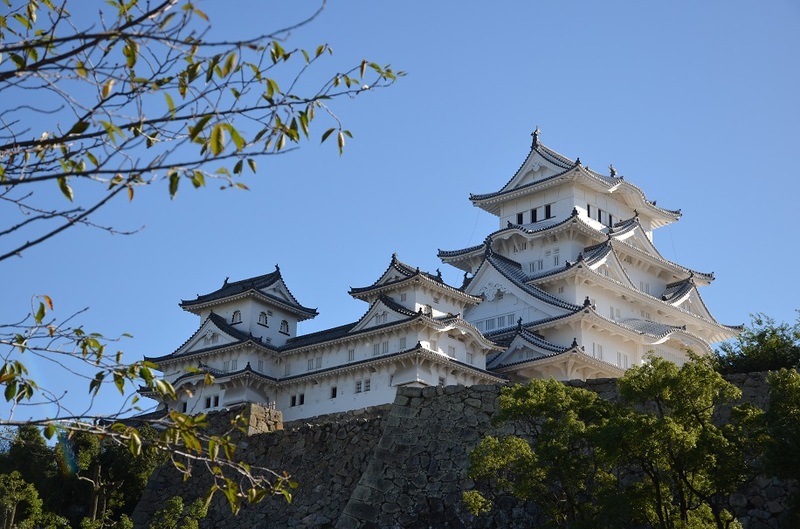 This is one of the most beautiful castles in Japan, especially after the recent long refurbishing. I visited shirasagi-jo on a stormy August day, just before a typhoon, a couple of years ago. The photos I posted show that the castle does not require good light to look beautiful, but a bright sun does add a lot! 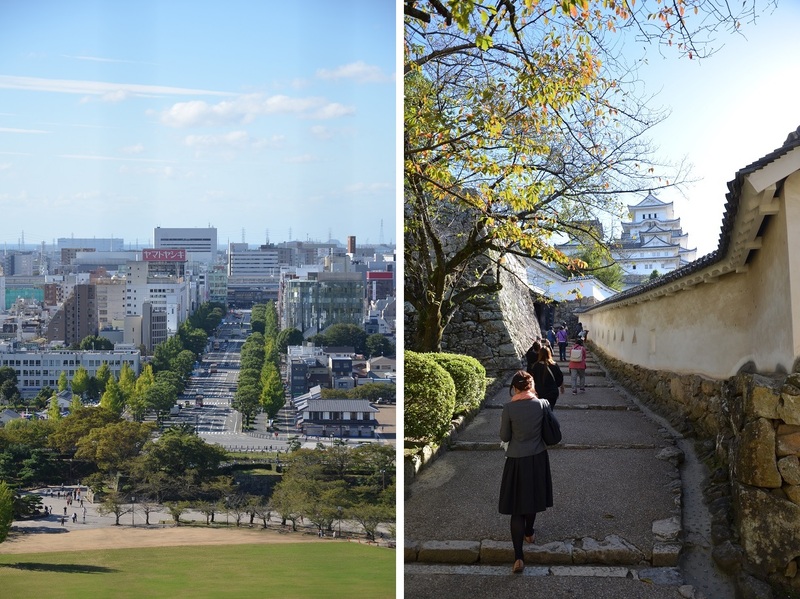 I have been incredibly lucky with my visits to Himeji – the sun was out both times, and that first one took place when the cherry blossoms were in full bloom. That said, it sounds like the castle looked just as impressive under stormy skies. 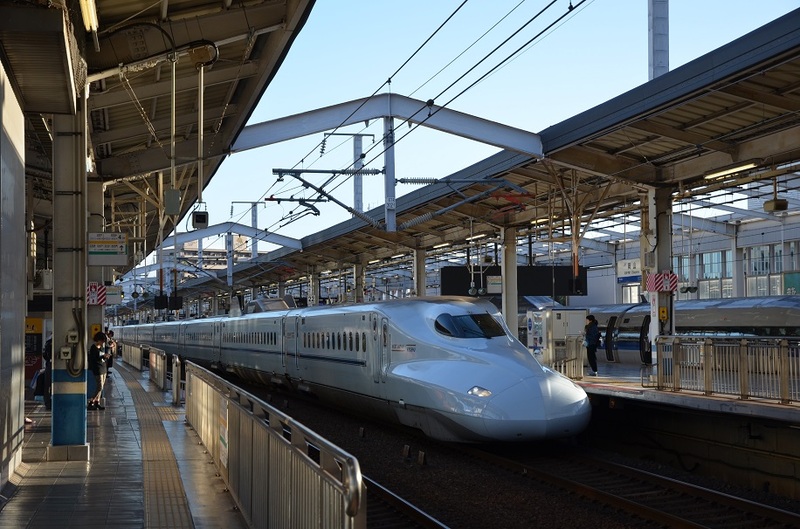 Did you go there as a half-day trip from Osaka or Kyoto? From Kobe actually. I guess I will go back again in different weather. Wow, what a beautiful graceful building. Wonderful photos James, I almost felt like I was there, and now it must be on our list of things to see in Japan. Amazing that that WWII bomb didn’t explode so this beautiful building could be saved for us to see now. What serendipity! Absolutely, Alison! 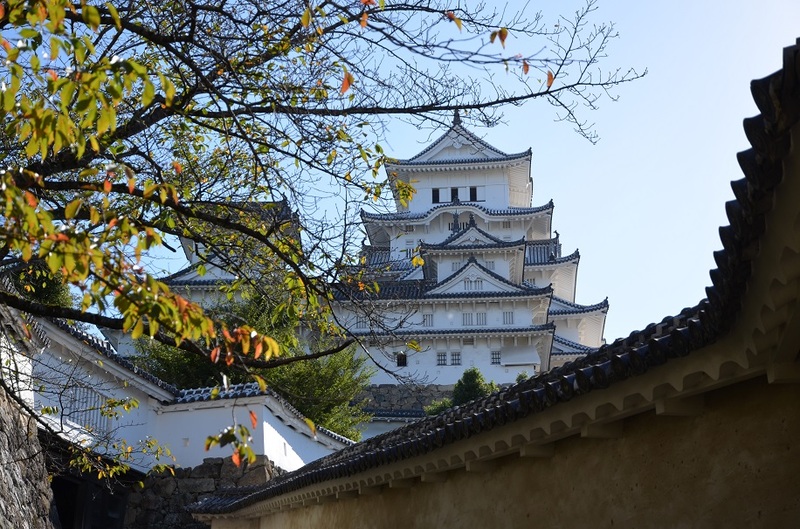 This is widely considered the finest surviving example of a Japanese castle anywhere in the country – it was just sublime and both the walls and white-tinged rooftops seemed to glow in the morning light. I must have taken hundreds of photos there. What a magical place James awash with so much history! Gorgeous pictures as always. Thanks, Nicole! It’s a must-see if you ever find yourself in that part of Japan. I love the 2nd, 3rd, and 4th picture of yours. 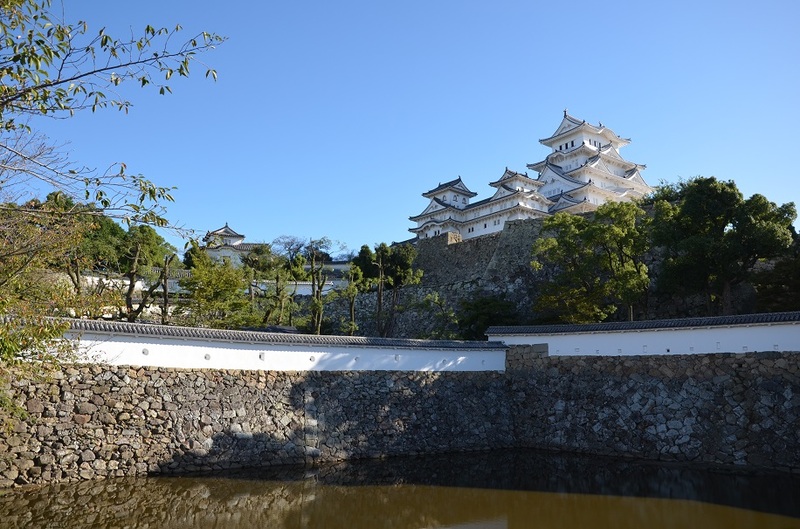 That old castle is a perfect combination for the japanese wooden bridge. Oh, oh, oh how I LOVE Japan!! Great pics, as always. Thanks Rebecca!! It is hands down one of my favorite countries – I’d go back in a heartbeat! 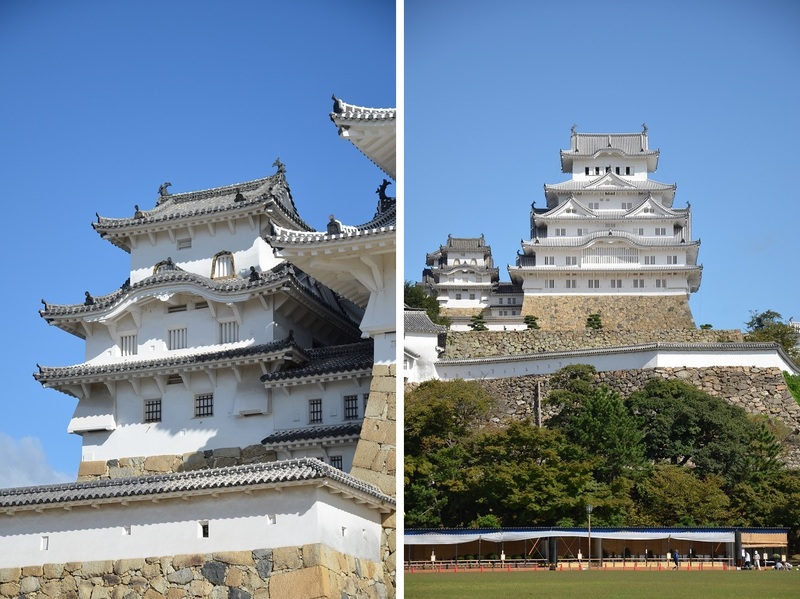 We visited Osaka, but didn’t make it to Himeji. It has such a fairytale like quality. Remarkable that it survived so many calamities. Wonderful photos James. Beautifully framed.